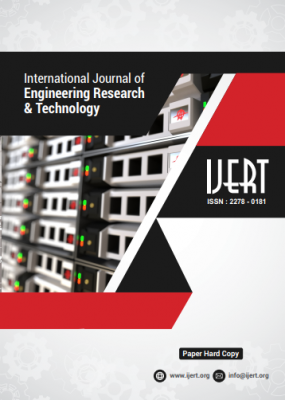 International Journal of Engineering Research & Technology is a peer-reviewed, open access and multidisciplinary journal that publishes original research & review articles of all major branches of Engineering, Science and Technology. We have adopted a fully open access publishing model which allows open global access to its published content so anyone can download & read articles round the clock totally free of cost. IJERT is included in many leading abstracting and indexing open access databases like Google Scholar & ResearchGate. For a complete list, view here. IJERT does not charge readers or their institutions for access to more than 25000 published articles. The open access supports the rights of users to read, download, copy, distribute, print, search, or link to the full texts of these articles provided they are properly acknowledged and cited. IJERT publishes 12 issues per year not including special conference issues. Why Publish in IJERT ? Sitting at the epicenter of research and innovation, each day we passionately push the limits of science and engineering by regularly publishing state-of-art peer reviewed research content. IJER 100% emphasis on high quality research content, thorough peer-review which exists on all our research and review articles , ensuring we publish scientifically sound research across a broad spectrum of engineering areas. All accepted papers in IJERT will be published under a Creative Commons Licence and will be freely available on the IJERT Digital Library. IJERT has the team of more than 1500 prominent reviewers and editorial board members from well-known academic institutions around the globe. The primary goal of the reviewers & editors is to maintain high quality of publications. 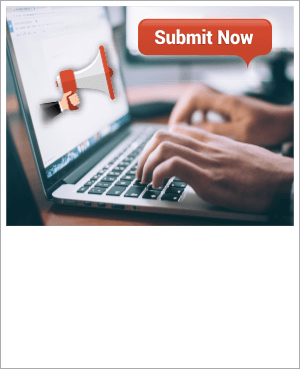 The articles that are sent for reviews are handled by state of art online manuscript review system, with a view towards making fast & fair review process. The Editors reserve the right to reject papers without sending them out for review. The IJERT’s GOLD OPEN ACCESS model is supported through very nominal Article Processing Charges. There is no fee associated with submission to this journal. We also offer discounts to students and 100% fee waivers for researchers in developing countries, determined using the criteria* set by WorldBank. Almost all university and colleges research in both science and engineering is performed as a component of the advanced education of students. For most engineering & science students, the goal of a career in industry motivates their pursuit of advanced study, and this will increasingly be the case in the future and IJERT helps them to achieve their goal.